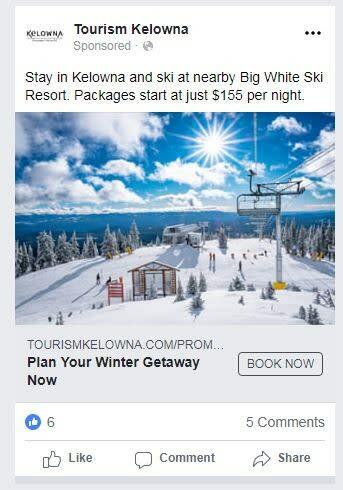 Tourism Kelowna&apos;s first winter co-operative marketing program delivered strong results for the participating partners and our destination. 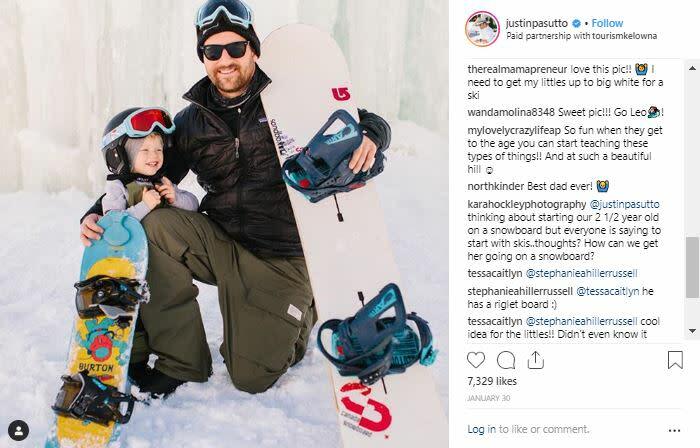 The campaign&apos;s goal the first year was to introduce Kelowna as a winter destination, increase hotel occupancy levels over the winter months, and drive up day visits to nearby Big White Ski Resort. The campaign included an integrated mix of digital video, sponsored content, digital and social media advertising, e-mail marketing, and influencer marketing that delivered over 5.6 million impressions and more than doubled our advertising spend through bonus media value. 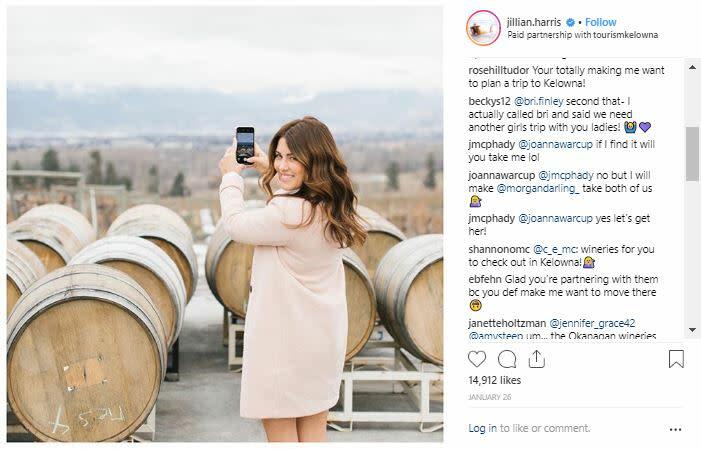 In addition to increased interest and awareness about winter activities, including winter wine tours around Kelowna, direct results include increases to hotel occupancy and ski pass sales. According to CBRE, hotel occupancy grew an average of 1.35 points from November 2018 to the end of February 2019, over the same period last year. There were 677 skier visits to Big White sold directly through participating hotels. Other results attributable to our increased winter efforts include an increase of over 35,000 to our social media audience and 41% growth to the number of sessions on the winter section of our website. 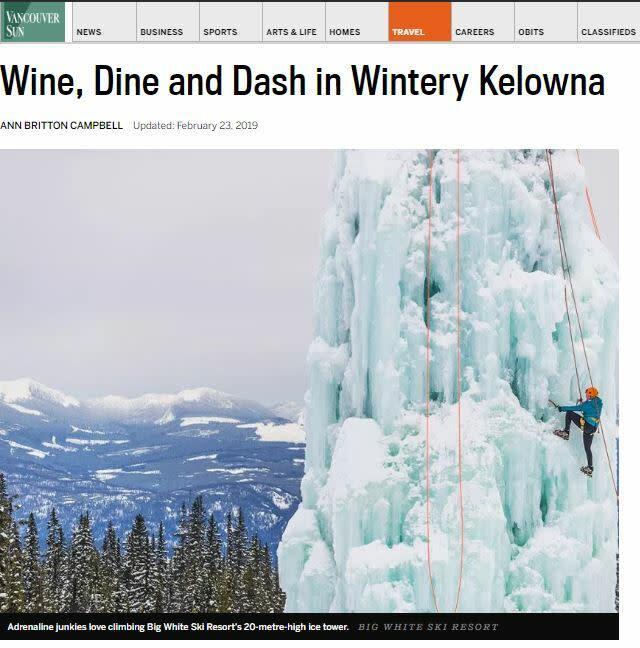 Our winter destination marketing efforts also resulted in strong earned media coverage, including national articles like Wine, Dine & Dash in Wintery Kelowna and Winter in B.C.&apos;s Wine Country. This program was a partnership with Big White Ski Resort, 13 local accommodators, 16 wineries, and five tour operators. For more information on Tourism Kelowna&apos;s marketing programs, contact Sara Correa at sara@tourismkelowna.com or call (250) 861-1515 ext 218.